On June 25, Russia's president Putin meets with China's leader Xi Jinping for talks in the Great Hall of the People in Beijing. 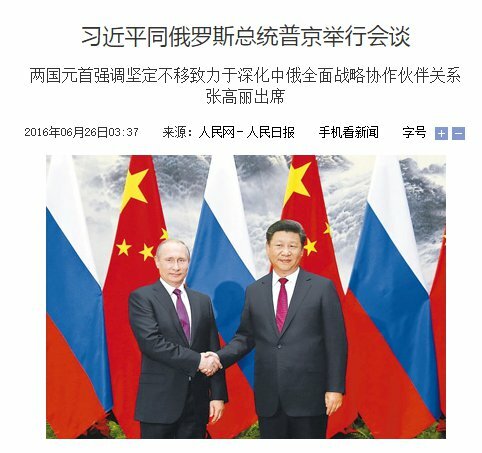 Using the traditional stances of "eternal friendship and mutual cooperation", the semi-official Chinese source praises Vladimir Putin's visit to Beijing in its daily news for June 26, 2016. The talks should comprise more than 30 subjects of cooperation, ranging from economy and trade to diplomacy, basic installations, technological progress, agriculture, finance and banking, energy resources, media and internet as well as sports. According to the wide range of items to be discussed this is as well a meeting of high-ranking members of both administrations, including both ministers of foreign affairs and Russia's first deputy prime-minister. People's Network just reported the succesful maiden flight of carrier rocket "Long March No.7" after its launch from Wenchang space center in Hainan province. 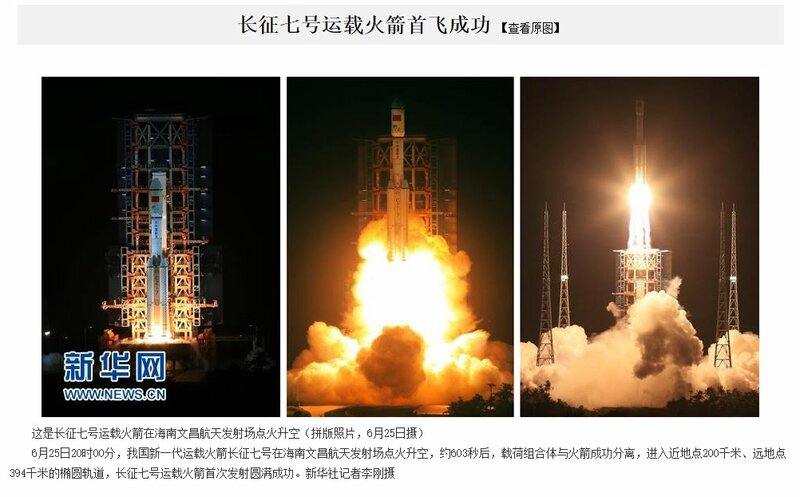 On June 25, at 20:00 local time, China's new carrier rocket "Long March No.7" had a flaming lift-off from Wenchang space launching site in Hainan [province]. After 603 seconds, the payload assembly successfully separated and entered an elliptic orbit with a minimum distance from Earth of 200 km [perigee] and a maximum distance of 394 km [apogee], such making the maiden launch of carrier rocket "Long March No.7" a complete success. The Long March 7 is the medium-lift variant of a new generation rocket family that includes the heavier-lift Long March 5 and the small-mid cargo Long March 6. The structure is based on the reliable, man-rated Long March 2F rocket. It inherited the 3.35m-diameter core stage and 2.25m-diameter liquid rocket boosters. Where the earlier Long March 2 rocket family used expensive and dangerous N2O4/UDMH propellants, the Long March 7 uses LOX/kerosene. The engines are shared with the Long March 5 and 6. The goal was to build a more cost-effective and less hazardous rocket family to replace today's Long March 2 and eventually the Long March 3. It will be capable of placing a 5,500 kilograms (12,100 lb) payload into a sun-synchronous orbit. [Released] U.S. documents: Khomeini appeased Kennedy and Carter. The Arabic article from Al-Arabiya TV العربية was published on their website, today, June 3, 2016. 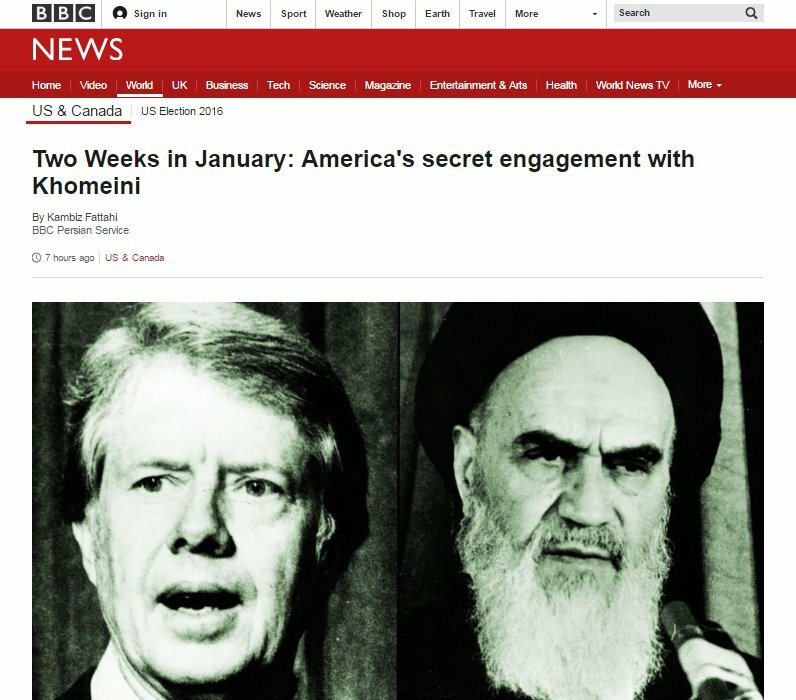 It is referring to recently declassified U.S. documents that suggest an unusual background story behind the grasp of power in Iran by Ayatollah Khomeini and his seemingly unchallenged introduction of an Islamic revolution. 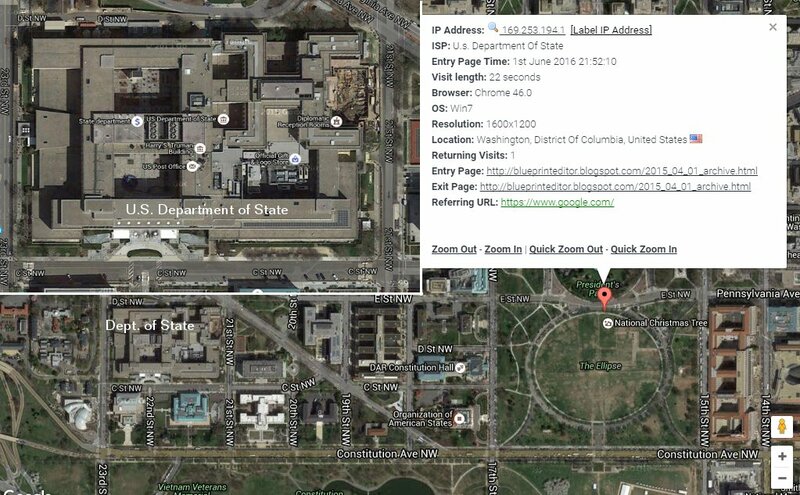 On 27 January, 1979, Ayatollah Khomeini - founder of Iran's Islamic Republic, the man who called the United States "the Great Satan" - sent a secret message to Washington. 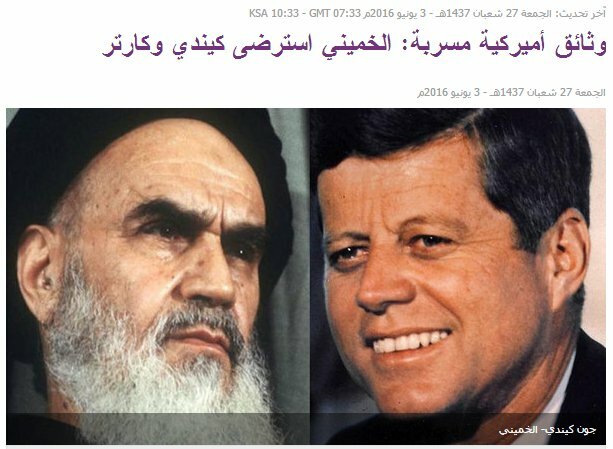 Khomeini had even earlier reached out to the U.S. for support when he had sent a private message to President Kennedy while being held under house arrest in Tehran in 1963. 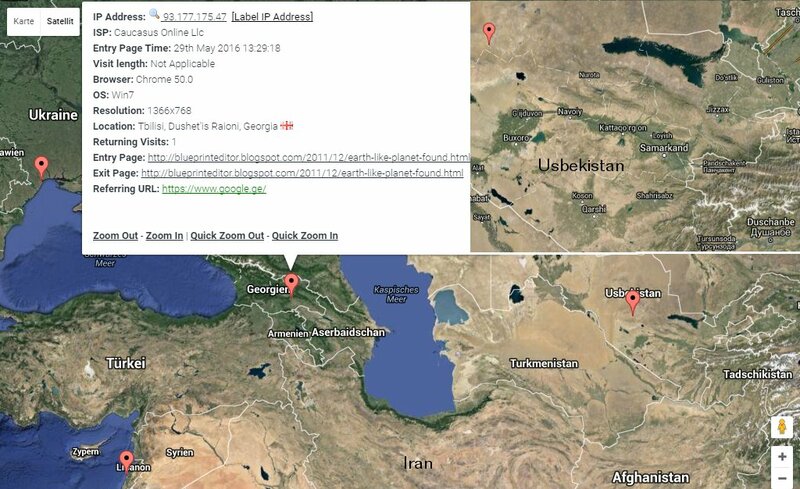 For more information, you should read the whole story from BBC, London. 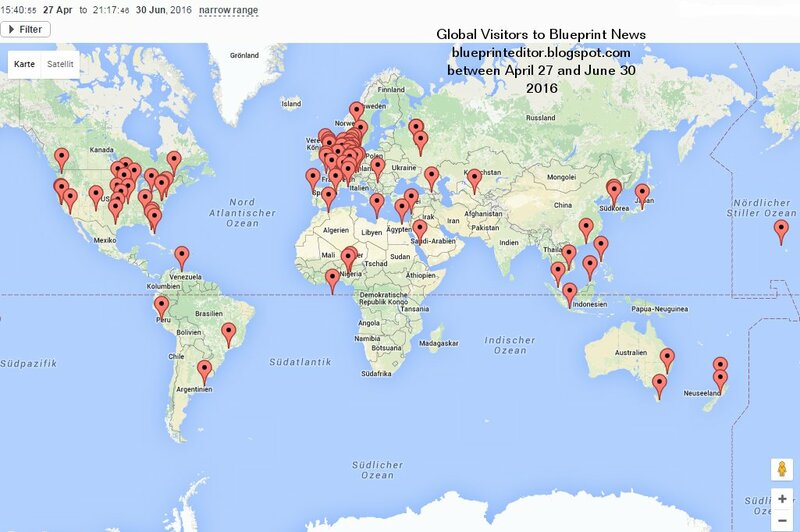 Some most recent visitors to "blueprint news".